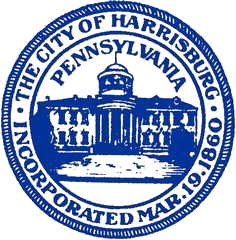 All park permit applications need to be completed at City Hall located at 10 N. 2nd St, Suite 401, Harrisburg, PA 17101. Reservoir Park Mansion will not be open until further notice. The Bureau of Parks & Recreation would like to personally thank you for being a valued customer. Enclosed for your convenience, is a park permit application/banner application for 2018. Please remember our park permits are first come, first serve. The opening day for application submission and other related information is below. In 2018, we will also be implementing new procedures for processing park permits. Our goal for the coming year is to serve the community, improve our customer service, increase transaction speed and eliminate pre-dawn arrival times. The Reservoir Park Mansion Office will open at 8:00 a.m. to receive your park permit and our team will be working swiftly to address every concern. Park permits require a $200.00 deposit. Acceptable forms of payment are check or money order. Deposits will be applied to your balance during processing. Staff will confirm your date and provide you a receipt. Outstanding invoice(s) will be issued within 7-10 business days of final processing and your due date will be 30 days from the invoice date. Below are important rental rules and reminders which must be followed. City Island rentals require that you contact the Parking Authority for permission to use all parking lots located at City Island. Lot locations are: north/south lot/parking garage and Senators rear parking lot. Please contact the Parking Authority at (717) 255-3099. Event rentals require an email to LMatteo@harrisburgpa.gov with an operational plan or detailed map 30 days prior to your scheduled event. In the subject field of the email, please write “OPS Plan” or “Map”. Please be sure to secure all areas you wish to utilize. If you are using space(s) that are not part of your reservation, you will be asked to remove items placed in the unrented space (s) and/or onsite payment will be required. No staking of tents in Riverfront Park or on City Island; all tents must be free standing or sand bagged. Vendors must be licensed through the City of Harrisburg Tax and Enforcement Office, please visit the office in the City Government Center, Suite 305A or call (717) 255-6513. Park permit payments and insurance forms must be completed within 30 days of rental approval. Unpaid fees will cancel your reservation and your event date will be made available for others to reserve. Information for Park Rangers will accompany approved permits. If there are any issues with your application, staff will contact you within 7-10 days in most instances. Any questions or concerns may be directed to: LMatteo@harrisburgpa.gov or (717) 232-3017.